I have tried couples of given methods, some of them work and other ones don’t. I am going to write down all working method below. If you don’t understand any step, please comment and I will do my best to help you out! Ensure that you are using the latest Google Play Services version by open Google Play and visit the My Apps menu. Try to double-tap on the red Disconnected button. I’ve found that sometimes this works. Open Settings => Application Manager => Google Play Services => Clear Data/Cache. Open Settings => Accounts, remove your current Google ID account, re-add it then check the Sync App Data option. 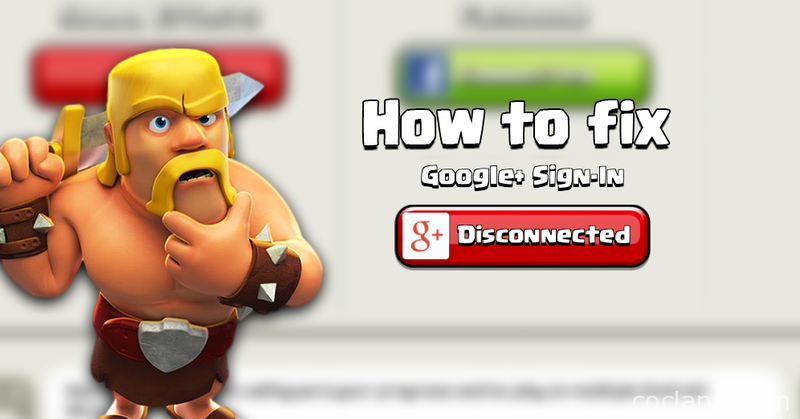 Open Google Settings Application => Connected Apps => Clash of Clans => Disconnect and then open game and try again! Sometimes it is also because of your connection. Try to use Google DNS (8.8.4.4 and 8.8.8.8) then connect to Google again. Open Google Settings ~> Play Games ~> Delete Play Games Profile (Don’t worry, just make sure you have connected your village with your Google ID). Open the Settings in game, connect to Google and create new Play Games ID. On your phone, go to Settings > Accounts > Google. Remove all current Google accounts and re-add them again. Everything should be okay now. Thanks Dario Neves for sharing this! Go to My Apps & Games menu and open the tab “All”. Look for the app “Google Play Games”. I will update this page once I’ve found any new solution. If you have any other way to fix this annoying problem, please do a comment!